Some of the most popular fabrics we sell here at Empire Textiles are produced by Vlisco. What makes Vlisco so popular? The answer lies in the brand’s versatility: their fabrics feature a huge range of designs and styles. If you’ve looked on our product pages, then you will already have seen how Vlisco’s designs range from the traditional to the futuristic and from the restrained to the playful. Despite this, all the brand’s fabrics are clearly unified by a common aesthetic sensibility. 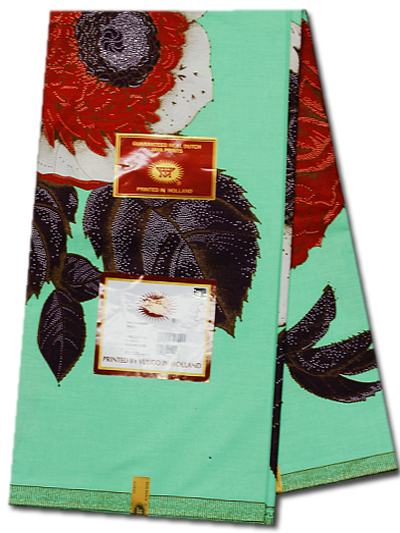 If you are a fan of our Vlisco products, you may wonder how their fabrics can be so versatile and yet so consistent. We’d like to provide you with some insight on the subject by taking a look at Vlisco’s design and production processes. Firstly, Vlisco’s designers are expected to take a period of 18 months to fully master the brand’s aesthetic sensibilities and start incorporating them into their designs. This ultimately enables the designers to explore a wide range of styles and ideas without sacrificing their work’s visual tie to Vlisco. What’s more, the brand treats each of its designs as a work of art (it even goes so far as to have them valued as artworks). This helps to encourage creative thinking and versatility among the designers. Once it has a design to work with, Vlisco uses custom-built machines to produce a fabric that features that design. These fabrics are then finished by hand, as this is the only way to truly guarantee their quality. The aim of Vlisco’s unique production process is simple: the manufacturer wants to translate its designs into wearable fabrics as accurately and spectacularly as possible. The uniqueness of the design and production process allows Vlisco to generate vastly differing designs while still endowing them with a common stylistic feel. However, it should also be noted that Vlisco is able to draw on two cultures to produce its designs. The brand has its origins in Holland, but it is deeply integrated into West African culture. 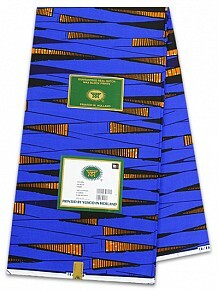 This fact has undoubtedly contributed to the high level of variation in Vlisco’s designs. If you enjoy wearing Vlisco fabrics yourself, you can probably appreciate how special their design and production process really is. We hope that learning about this process has renewed your appreciation for these fabrics… we certainly appreciate the opportunity to supply them!